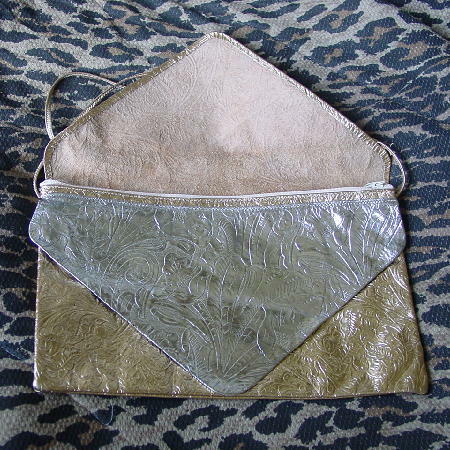 This vintage gold and silver lame leather purse has 2 separate front zippered sections. 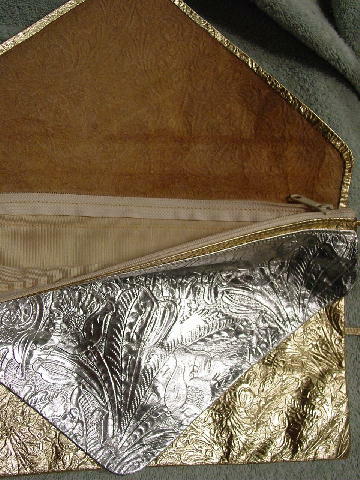 The full back section has a full champagne-bone grosgrain fabric lining. The shorter front section is only lined on the back side. It has a thin 41 1/2" long by 1/4" shoulder strap. The leather front and back has an etched floral design. 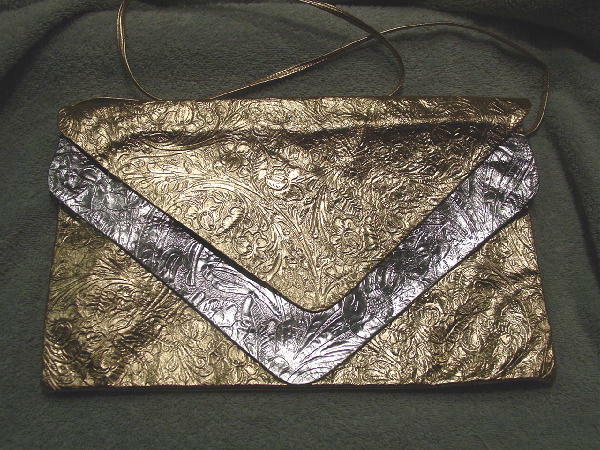 The back is in gold lame. It shines more in person.